David Robson is a thirty-two-year-old, award-winning science journalist. 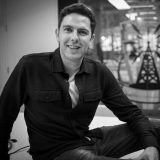 He was the youngest-ever features editor at New Scientist and worked for three years as a writer and editor at BBC Future, where he specialised in topics related to neuroscience and psychology, particularly intelligence. He regularly features on the radio discussing scientific issues, and his writing has also appeared in Nature, the Sydney Morning Herald, the Atlantic and the Washington Post. 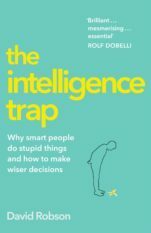 His first book, The Intelligence Trap: Why smart people make stupid mistakes, and how to avoid them, draws together cutting-edge research from diverse areas of psychology, neuroscience and philosophy to demonstrate the many counterintuitive ways that intelligence can lead to failure and to build an argument for a wiser way of thinking. UK & Commonwealth rights were pre-empted in under 24 hours by Hodder & Stoughton, who will publish in Spring 2019.